Affordable, flexible and sustainable, fabric frames provide the perfect backdrop to a modern workplace or office. 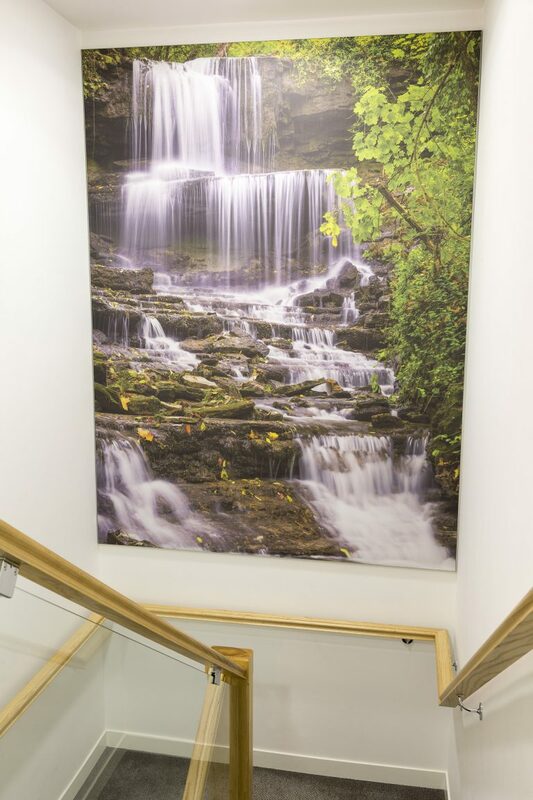 We can print a design of your choice onto full colour fabric, which is then stretched and fitted onto a wall mounted frame. 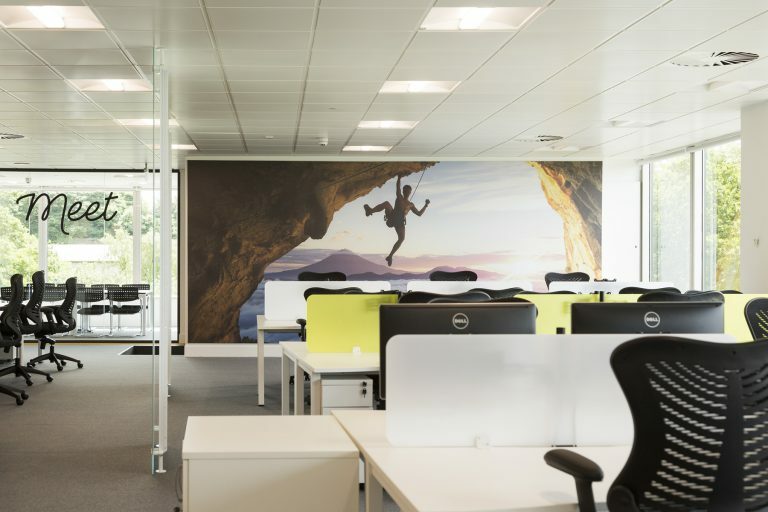 One of the most popular and newest design solutions on the market, fabric frame systems are becoming a fixture at offices up and down the country. Also adding to the frame’s popularity is its versatility. 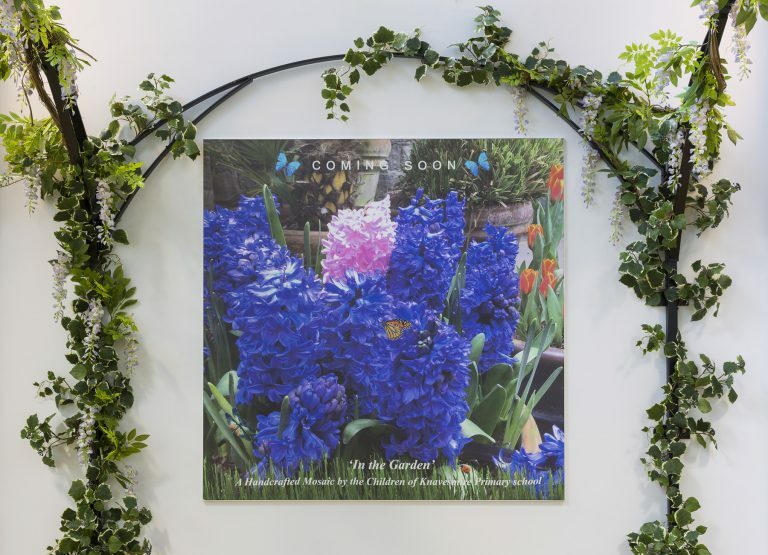 Used in a wide variety of different spaces and for different purposes, they are ideal for any reception area, feature wall or meeting room. At De-Signs, we can accommodate your needs, regardless of the size of your space. We produce frames to suit your parameters, whether you are looking for 2.5 metres, or something smaller or larger. Our frames can also be created at any width. We print our designs in one piece too, so you won’t have to deal with any joints. 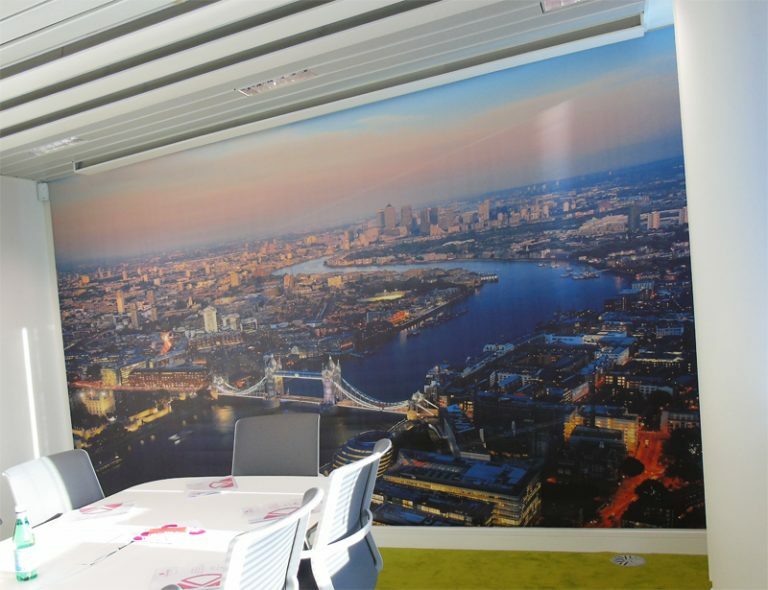 Whether you’re looking to make an impression on visitors, add character to an empty space or simply improve on the designs you already have, a fabric frame system will ensure your place of work looks stylish and fresh for years to come.